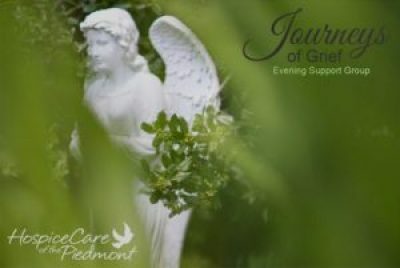 HospiceCare of the Piedmont has several ongoing monthly support groups which are uniquely designed for those experiencing grief. The support groups enable grieving people a place to receive comfort, friendship, reassurance, social support, and understanding. Journeys of Grief is a new support group created to target those who are unable to attend our daytime groups. Our support services are free of charge to the community. Please call to register, 864.227.9393.